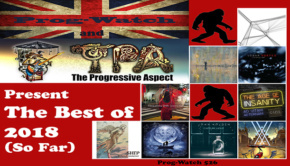 Beautiful and Monstrous, released in 2009, is a wonderful showcase for the restless and creative spirit which lies at the very heart of progressive rock. 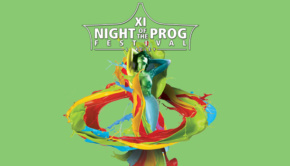 Soaring melodies which fondly linger in the memory are cradled in layers of delicious harmonies, built on the bedrock of a spellbinding musical and technical virtuosity which provides a compelling enthusiasm and energy. It also carries the unmistakable footprint of the Sieges Even project with which Arno Menses and Markus Stefan were previously involved; crunching foundations built on steely guitar driven textures and an uncompromising commitment to beautiful lyrics. 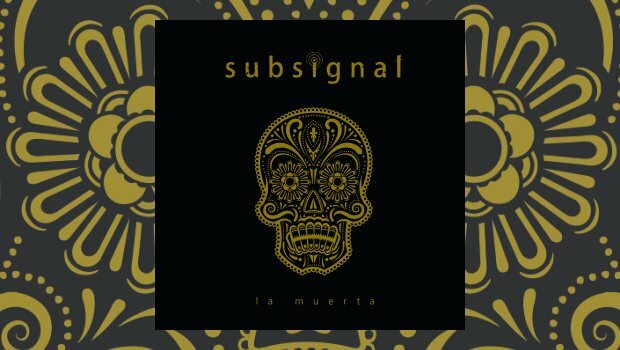 La Muerta is now the fifth studio album to join this fascinating journey from German band Subsignal and is a triumphant return to the clarity of vision, character and sparkling synergy of that original debut release. With it comes an almost irrepressible sense of spontaneity and an outpouring of exuberance which delights in having found a voice and a stage through which it can paint deeply personal and highly emotional musical vignettes. What strikes you most on hearing this album are the organic progressions and the natural transitions which bind the inventive song writing and intricate compositions together to form a seamless musical experience. The music feels instinctive, flowing with a natural dynamism and exhilarating passion that sweeps you along with its vibrancy and resonances. Arno Menses vocals are utterly bewitching, his voice perfectly nuanced in delivering spine tingling solos or weaving gorgeous cascading harmonies. The vocal arrangements also provide the building blocks for some of the standout highlights of this album. There is a playful delight in experimenting with a series of contrasts; what you hear is almost as important as what you sometimes don’t hear. Intense musical passages abruptly fade away into tranquil interludes, lusciously filled soundscapes transitioning to silent backgrounds which frame a lone voice or instrument – carefully orchestrated and mesmerising in its effectiveness. Yet this in turn unlocks another insight into what makes this album such a success. I fancy much greater prominence and importance has been afforded to the role of the keyboards, both as a lead instrument as well as the provider of the foundations on which the contrasts are being built. Listen carefully. There is a dazzling array in the way the keyboards are deployed. The glorious explosion of synths at the start of Every Able Hand segue to plucked harpsichord strings, replaced in turn by smouldering Hammond-esque backdrops. But just as the keyboards threaten to hog the limelight, Markus Steffen unleashes the most jaw dropping guitar solo, precise in its staccato hitting of accentuated notes before cutting lose into a glorious riff which sets up the keyboards to take over again. This flurry of energy dissipates in a blink of an eye with Teardrops Will Rise In Source Of Origin, an exquisitely gentle acoustic guitar passage framed against a slightly echoed background, tender and delicate. The scale and diversity of the tracks we are offered is impressive. The Passage is an impressive combination of power riffing segments bookended with serene rippling piano. The Bells of Lyonesse is compelling in the anthemic refrain it unleashes, sumptuous in the powerful melodic arrangements which quickly settle in the mind. Even Though The Stars Don’t Shine is playful, inventive but with melancholic overtures. And Some Kind of Drowning is a tingling, emotional duet with Marjana Semkina of iamthemorning, a forlorn solo piano carrying haunting, heartbreaking lyrics. The production is excellent; the sound is clean and crisp with a spacious separation in the mix which allows for a vivid articulation of each instrument. The overall effect is the creation of a remarkable album, bristling with imagination and suffused with a reflective spirit of lively musical adventure and discovery. After The Beacons of Somewhere Sometime (2015) it represents a significant evolution in the journey on which this band has embarked and feels like a welcome revitalising of the exciting, progressive and always enjoyable Subsignal spirit.